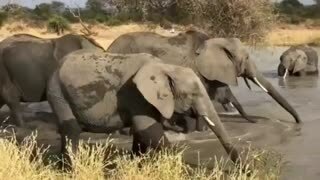 Rumble / Wild Wildlife - Besides being the largest mammals on the planet, elephants are most likely the most intelligent and caring mammals roaming the African bush. Their strong family bonds are incredible and related females stay together for life in what is called a breeding herd. The gestation period for an elephant cow is twenty two months. For that reason baby elephants are a huge investment not only for the mother but the whole breeding herd all together. 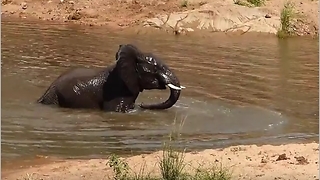 This video was recorded during a safari trip in the Kruger National Park. These people came across a big breeding herd of elephants enjoying a mud bath in a wallow. Once all the elephants got out of the mud wallow all their attention was suddenly moved to a tiny baby elephant that remained behind in the wallow. Getting in was rather easy but getting out became a huge struggle for this little female. 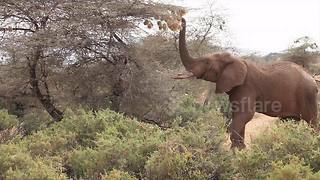 The video shows how the baby elephant attempts to get out but she is just too short and weak to pull herself up the embankment. As usual the mother was right there but even she herself found it difficult to rescue her baby from the deep wallow. The baby elephant looked in real distress and very clumsy at the same time when she slipped in the mud trying to keep on her feet. 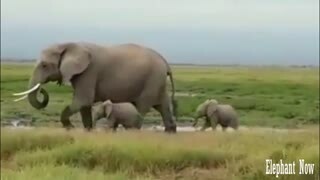 At first the mother elephant attempts every possible way to get her little one out. She goes down on her knees while attempting to use her trunk. When that failed she turned around while stretching out one of her back legs, hoping for the baby to use her trunk and grab onto one of her mother’s legs. That tactic also did not work. Then suddenly the baby elephant decides to move down the wallow a little to a place where the embankment was not that steep. Her attempts to get out by herself failed again. 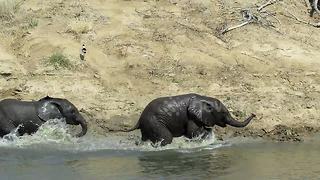 Suddenly to everyone’s amazement we see other herd members running towards the struggling mother and her calf. 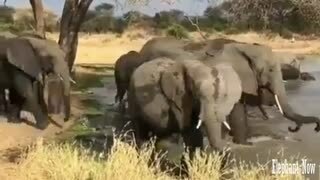 One big female then joined the mother and in a joint effort managed to rescue the baby using their trunks to lift her out. These people were very relieved to finally see the baby elephant get out of the wallow and reunite with her mother. For the poor baby elephant it didn’t end there as she took a knock from her mother’s knee in the face by accident during the rush to move on. She pulled herself together and ran after her mother where she then suddenly tripped and fell. 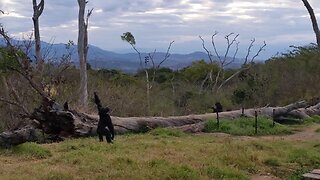 She quickly got up again with great determination and continued running hard to keep up with the herd that was very much in a hurry to leave. 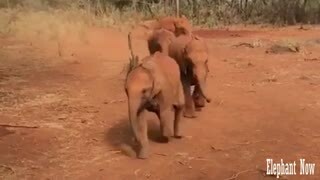 This video is a great example of the care and intelligence that exist among elephants and that life as a new baby elephant can be really tough at times. Amazing! They are so caring! Then the little guy stumbles as they all run off together! LOL!!! 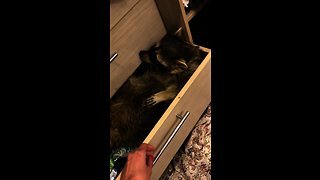 Just like a human toddler! With a little help from my BIG friends. Beautiful to watch. Amazing footage. So intense and great relief they finally managed to get the little one out.